Leading Manufacturer of wooden laminated flooring for gymkhana from Mumbai. 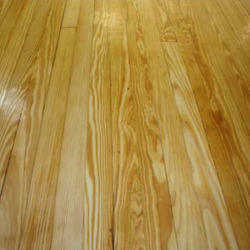 We are a company which has managed to carve a niche in the market for the wide range of services which we offer to the customers that include the Wooden Laminated Flooring for Gymkhanas which are high on demand in the market and they have been bought from well known vendors in the market. The services are carried out by trained professionals who carry out the work on time and the services have been priced at very reasonable rates in the market.